Lost your way in Tau Station? Languishing with a lack of direction? Keep your eyes open for the Action Flag! The Action Flag is the small orange icon that you’ll see on some of the game’s tabs. This little symbol serves as your compass to the people and places that have possible actions awaiting you. 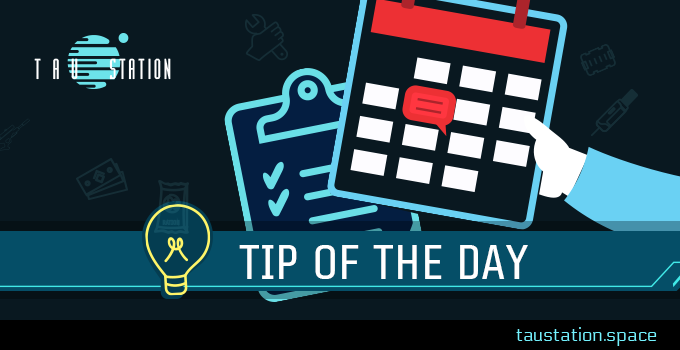 ➔Continue reading "Closed Alpha: Tip of the Day #13 – Action Flag"
There is a common understanding among all walks of conscious life: rules exist. Human-kind, through careful tailoring by social norms, have a set agreement about what those rules are and that agreement is put into a system of laws. The laws put boundaries on acceptable behavior. They protect and secure and sometimes oppress and restrict. But they exist and like everywhere else in the recognizable human experience, the breaking of those laws leads to detainment and incarceration. The universe of Tau Station is no different. We are all that is left of humanity. Our laws matter. Read on below about what we call “law and order” in our days, but what is a special experience in Tau Station. Try to avoid going to…the brig! 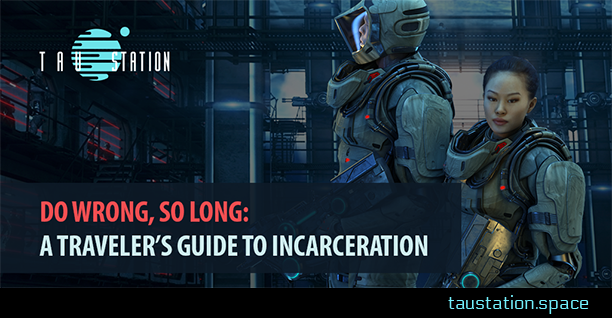 ➔Continue reading "Do Wrong, So Long: A Traveler’s Guide to Incarceration"
Lights flicker against the summer marine haze of a San Diego dusk. Sounds of anticipation and joy seem to swell from the very ground itself. The glistening paints hues over the rumble: the giggy glee and excitement of a little slice of magic here on Earth: Comic Con. 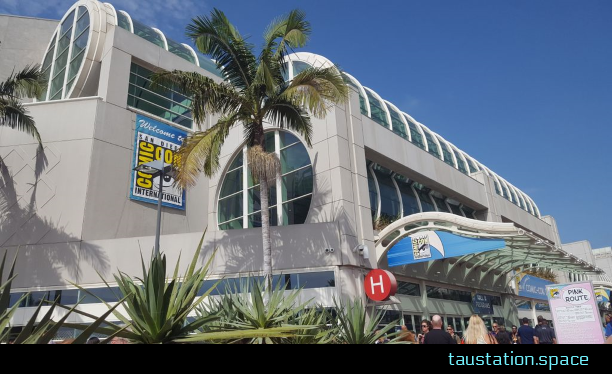 A time and place of celebration and freedom, Comic Con calls to a part of us all. For four days fandoms collide to simultaneously give thanks and be thanked for and by their favorite creative pop-culture properties. Teams from television, films, animes, games, mangas & comics anxiously await the chance to meet the people who hold sacred the work they do. That encounter and exchange is a beautiful one. There is a spectacular synergy in the air. We are just as excited to see you and you are to see us. It is a unique perk of the Con scene that can not be underscored enough: meeting you matters to us. Read on below for Erin’s personal Comic Con recap about the event and her part in the panel talk, “Writing for the Computer Gaming Industry”. Also, enjoy the photos from the event and our new game flyer! ➔Continue reading "Comic Con: The Land of Imagination and Promise"
Founded by wealthy Gaule philanthropists looking to fashion a station devoted to the arts, Nouveau Limoges has long existed as a haven for artists, poets, musicians, and idealists. With its reputation for independent thinking and a resistance to authority, the station has always been seen as somewhat of an eccentric anomaly to the Gaule administration. With its large population of free thinkers, devoted to creative pursuits, the government was often at odds with the non-conformity of its citizens. The imposition of tighter control was met by increasing civil disobedience and the threat of outright rebellion. 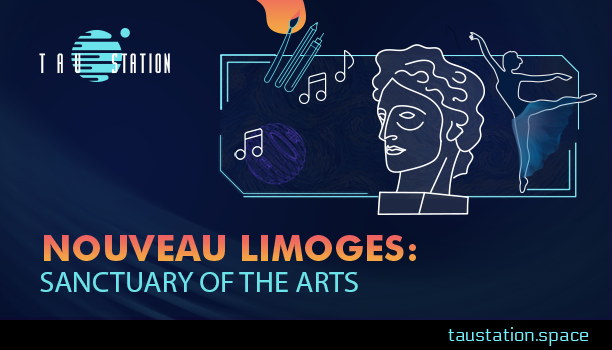 ➔Continue reading "Nouveau Limoges: Sanctuary of the Arts"
➔Continue reading "The Gaule Protectorate"
May is almost over and this month brought us many ups and downs… but only regarding the temperatures here in Western Europe. Our international development team is “weather-proof” and is moving steadily forward to Closed Alpha—regardless of the circumstances beyond our windows. This month we were also able to set up important internal processes and tools which will help us to work more efficiently in the weeks to come. Read on below our status report to see what our team has accomplished for Tau Station in the last weeks. 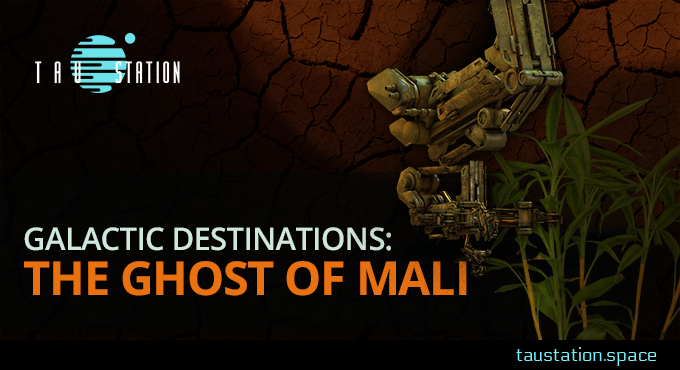 ➔Continue reading "Tau Station Status Report: May"
Daedalus Station. Your True One Life awaits. What was once violent and rough, volatile, and explosive has calmed like the stars from which our bodies were fed our first ancient form. The old ones give us the origin tales of our promise land: Daedalus, our home and we, The Promethean Sect, have claimed it as our own. We thrive on our home station. The time for destruction and disorder has come and gone. Our bounty is won: Daedalus Station is our haven. From this we vow peace. Sated, we vow calm. Continue, that you may know more. ➔Continue reading "Daedalus Station. Your True One Life awaits." At the heart of the Tau Station Universe is the wonderful belief that we are all creators and collaborators in the narrative of life. Carl Sagan, the astronomer and popular evangelist of science education, once said “We are made of star stuff.” We are also made of story stuff. From the beginnings of humanity, from the moment we gazed deeply into the night sky, we began to ask questions about our place in this greater universe. And out of this wonderment, this awesome and even frightening sense of the immensity spread out before us, we began to pull down the stars, to hold them within, and to struggle with the hopelessness of our own insignificance. We began to create stories as a way to give the world around us structure, meaning, and answers. The stories we created offered us a way to become active participants rather than blind, passive victims of circumstance. The stories placed value and meaning in our existence. Through the act of sharing, stories affirmed the commonality of our experiences and relationships. Stories allowed us to bond, to face the darkness together, to communicate, and to give us a sense of continuity as a species. 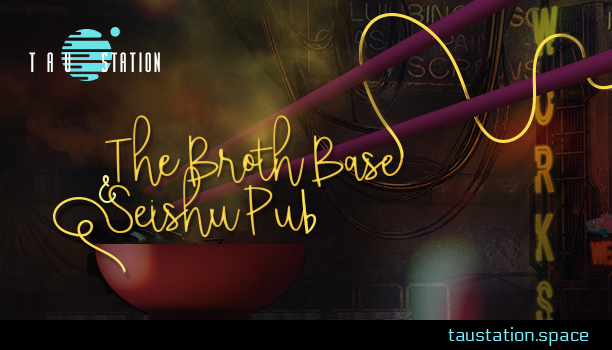 ➔Continue reading "Tau Station and the Art of Storytelling"